Aletha Saint-Romain, an Austin based illustrator, specializes in traditional watercolor botanical painting. 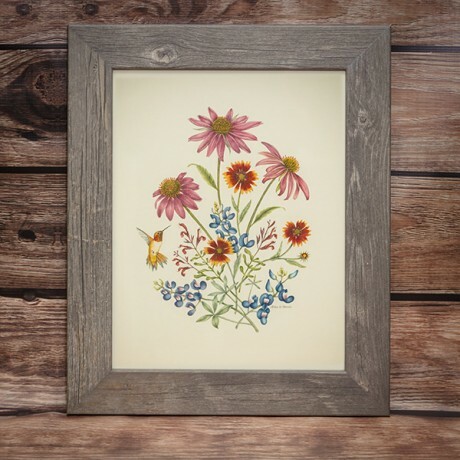 These exclusive prints showcase the the natural beauty and mystery of Texas wildflowers. We are honored that Aletha shares her love of nature through art. Two prints available. 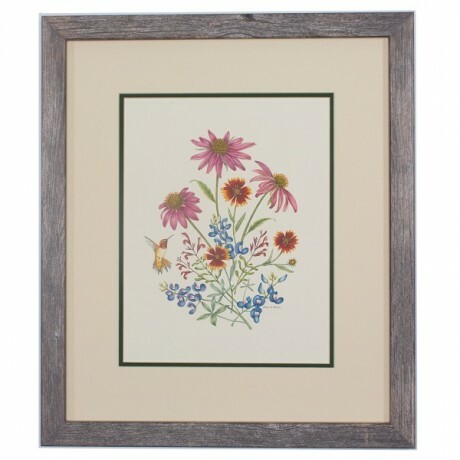 2 inch barnwood frame measures 14" x 17".